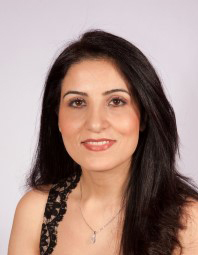 Maryam BSc, INP is a highly qualified Cosmetic Nurse Practitioner with more than twenty years of experience in nursing and medical aesthetic. She was trained in De Montfort University, where she achieved the highest grades amongst her peers. Maryam has been trained by the UK experts and certified in all the procedures by the manufacturers of the products that we use. Therefore she is an authorised practitioner for the leading brands such as Juvederm, Radiesse, Restylane, Obagi RX, Epionce, toxin and many others. She also regularly attends National Expo and Conferences for education and training purposes to keep up-to-date with new techniques and knowledge in this growing field. As an advanced Cosmetic Nurse Practitioner she is an expert in personalised profiling, advanced volumizing techniques, facial sculpting, anti-ageing injectable procedures and facial rejuvenation. Further to this, Maryam offers a whole range of medical-grade skin treatments such as advanced chemical peels, micro-needle therapy and prescription medications for anti-ageing, acne, scarring and pigmentation. Maryam carries out a full consultation and tailors a treatment plan in partnership with the patient whilst maintaining an honest approach to her patients in a professional and ethical manner. She has worked with leading cosmetic companies such as Transform Cosmetic Group and Destination Skin.